If you are offering accommodation along with your function spaces, then you can add them to the venue in the accommodation section. Enter name for the Accommodation Room such as King Superior. 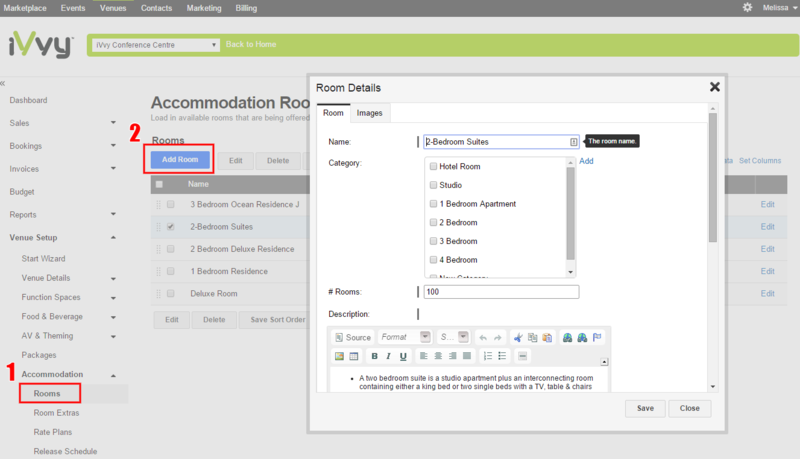 Select a room category (if applicable) or multiple categories if your room falls into them. Click on Add Image and Insert a default image of the room. Enter the Number of Adults that are included in the price of the room. Enter the number of Extra Adults that are allowed in the room. Enter the Cost for the Extra Adult. Specify if the room is a smoking room or not. If you wish this room to be available to people making reservations through your marketplace widget or your website, select Yes. In addition nominate a name you wish to appear on the marketplace/website to the general public. If you wish to add extra images, return to the top of the window and click on the Image tab. This will automatically save the room. Repeat for all room types within the venue. 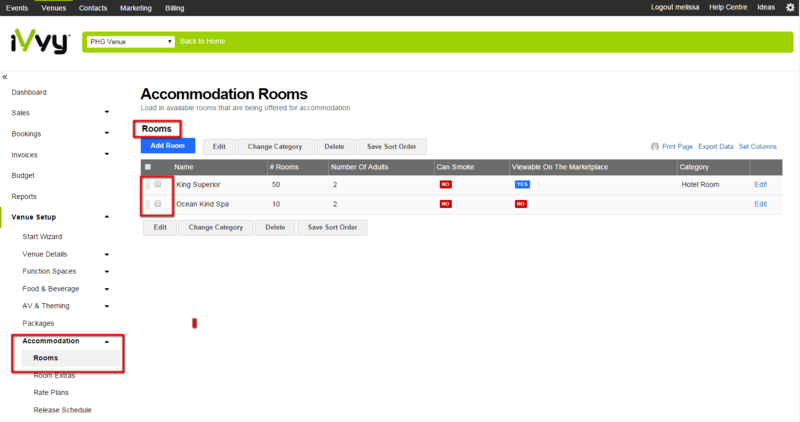 Sort the order of your rooms by clicking on the items and dragging to the desired position.